As the London Cab Trade attempts to recover from the economic disaster of the Olympics caused by the scaremongering publicity from TfL - since admitted and regretted by the Mayor of London - and the decision by TfL to exclude us from the Games lane, we were again dismayed when TfL suspended the licences of over 300 new Taxi’s following a steering fault that could have endangered the lives of Driver and passenger alike. The IMMEDIATE SUSPENSION OF THE 15 YEAR RULE to ensure that those owners can continue to work so that the effect of the TX4 ‘interruption to the supply chain’ is mitigated and that the Cab fleet can cope with demand coming up to the Peak period. The London Taxi Company (Manufacturer) release its stock of pre-owned Taxis to the Drivers affected on a complimentary hire basis until such time as the issue is resolved and settle direct any hire charges with other Taxi Fleet Owners if demand exceeds supply. TfL instruct SGS (The Cab Testing Company) to act as necessary to assist in this matter by offering no cost to Driver licensing appointments if necessary on a 24/7 basis and that trivial matters ‘Livery, Missing Ashtrays etc.’ are set aside to ensure the maximum amount of cabs are on the road. TfL and/or LTC appoint a liaison officer to talk to Banks and Finance houses etc. so that any demands for Hire Purchase payments to Drivers affected are held over or settled directly by LTC. When the fault became apparent? When the authorities were alerted and their subsequent actions? The robustness of the approval system of TfL for such safety critical items. To enquire if ‘cost saving’ was a factor in any decision making. This enquiry must be independent of both TfL and LTC and in the open. An ‘internal review’ is not acceptable. 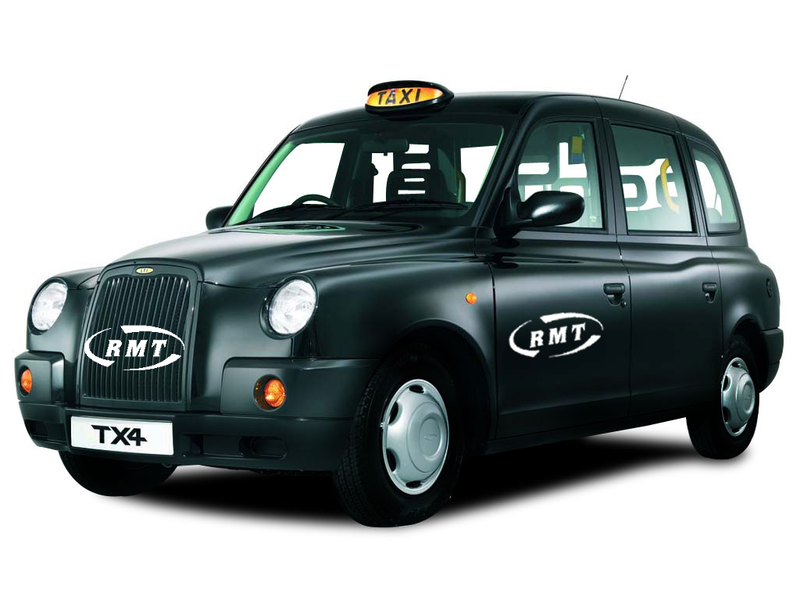 This issue is obviously causing very real hardship to the Drivers and families concerned, RMT Driver members are assured they have the full support and resources of London largest Taxi and Britain’s Specialist Transport Union behind them as this critical time.